We believe that there is nothing more important than educating the next generation about the Greatest Generation. As our Director, Mark Bielski, said about why he started his History with Mark Bielski Podcast, “We know that learning from our past ensures a better future. So, as an historian it is important for me to inform a younger audience. By telling the untold tales of our past, my guests and I are committed to making history come alive for future generations.” So, we are delighted today to share information about the many wonderful educational programs that John Long, the Director of Education at the National D-Day Memorial, has developed for students visiting the memorial. The National D-Day Memorial exists to pay tribute to the valor, fidelity and sacrifice of the Allied personnel who carried out the largest and riskiest invasion of the war, June 6, 1944. This involves, naturally, operating and maintaining the grounds of the Memorial, located in Bedford, VA, the community which had the highest per capita losses on D-Day. But it also means education is our mission. If the next generation does not learn to appreciate what happened on June 6, 1944 and why it mattered, the vital lessons and legacies of D-Day will be lost. Educational programs at the National D-Day Memorial take many forms. Daily tours tell the story of the Normandy Invasion to more than 50,000 visitors a year; special lectures in a speaker series allows scholars to go more in depth about aspects of the Second World War. 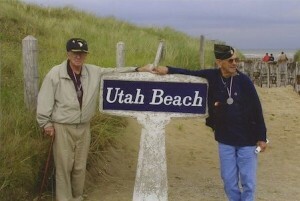 Publications, blog posts, and an informative website (www.dday.org) reach interested history buffs across the globe. Special events like Scout Day, Homeschool Day, and our 1940s Homefront Festival provide hands-on learning experiences for all ages. But it is the school-age generation that is the primary target. Thousands of students each year, from preschoolers to graduate students, take advantage of our educational opportunities. The most obvious educational outreaches are our onsite school tours. Classes (and sometimes entire schools) visiting the Memorial receive an immersive, two-hour experience teaching about what happened on D-Day and what it meant. 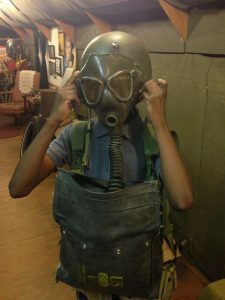 Students get the opportunity to handle authentic WWII artifacts, hear about the experiences of the average American soldier on D-Day, and sometimes speak to a WWII veteran about the war. Afterwards, they take a special tour of the Memorial that provides a chronological understanding of Operation Overlord, from the planning stage to the implementation to the celebration of victory. 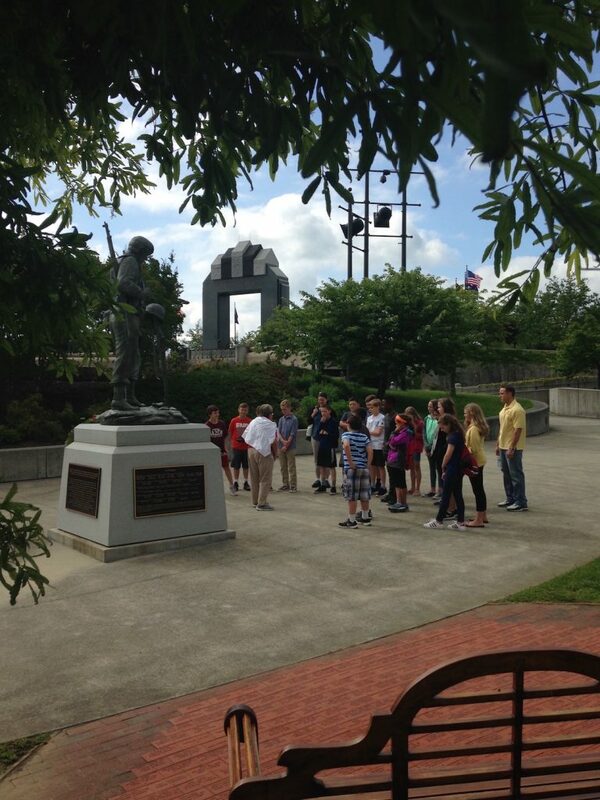 Students are also awed by the spectacular views of the Blue Ridge Mountains from the Memorial’s Overlord Arch. Programs can also, upon request, cover such historical topics as wartime rationing and the role of Victory Gardens on the home front. For many years, these programs were housed in an authentic WWII-era army tent. But this spring, a new permanent structure, modelled after the wartime Quonset Huts, will be dedicated to replace the aging tent, providing not only classroom space but display cases for artifacts as well. Of course, field trips to Bedford are usually limited to schools within a reasonable bus ride from the Memorial. That’s why we also offer opportunities for school kids across the nation (and even the globe) to experience the National D-Day Memorial. In a state-of-the-art distance learning studio, interactive online programs can be scheduled for classrooms anywhere the internet reaches. Alternatively (or as a supplement) the Memorial’s Traveling Trunk program ships, at low cost, a trunk full of artifacts and lesson plans to schools for two-week periods. All of these educational opportunities are made possible by donors and supporters who agree with our mission of preserving the lessons and legacies of D-Day. To learn more, or to schedule an educational program or field trip, contact education@dday.org or (540) 586-3329.